Group Discussion Ideas > General GD Topics > Do business and ethics go hand in hand? Ethics is ‘the moral values, principles governing our behaviour and having consciousness about our responsibility towards the society‘. In today’s world, there is often a conflict between business and ethics. There are many companies which are following ethics and are successful. They survived because of their commitment to follow ethics and provide the best products. Being ethical is the only way for an industry to survive for long term. Compromise with ethics for business may reap short term benefits but it could not ensure your success for long periods. Some businesses cannot follow ethics. For example if we take a successful non-veg restaurant, it cannot kill animals, it it follow ethics. The definition of ethics is understood differently by different people. There comes a clash when determining what is ethical and what is unethical. Being ethical takes so much time for success which can deprive you of several opportunities. While handling pressure, stress and competition, being ethical in business makes us face many more difficulties. In today’s world, more importance is given to how much money you can earn. Being ethical limits profits. Business is run by the mind, not by heart and values. Business needs a person to be professional and practical. Companies who claims to be ethical, often have ethics only in their words, not in action. Business is done with the aim of producing maximum profits whereas ethics is about what is right and wrong. These two can’t go together, if we want success immediately. Being unethical will not make you reliable in the market. Even if someone earns well by being unethical, their business will be collapsed once their unethical acts come into limelight. What remains with a business or a person is their values and morality. 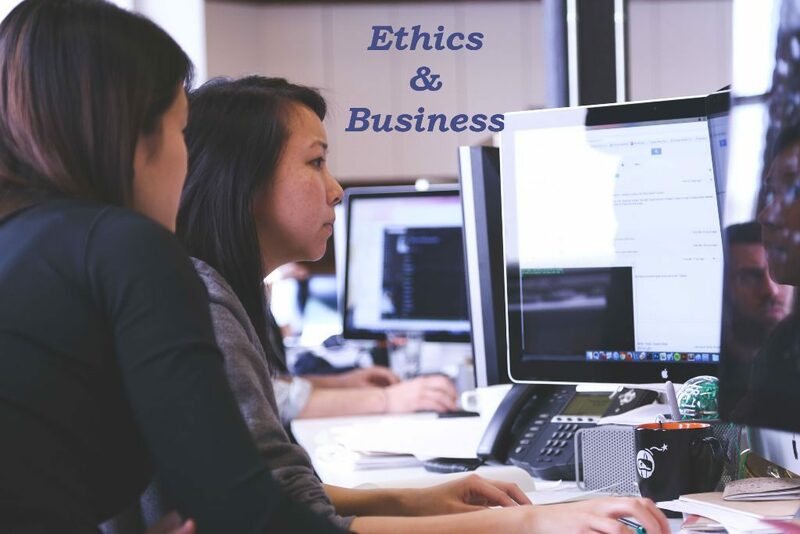 Business and Ethics can go hand in hand. And there are many live examples for that. Ethics works during abundance not during crisis. Hence there has to be a balance between being ethical and unethical. If u r too much ethical that also dangerous to the organization and if u r too kuch unethical that also dangerous to the organization, so intensity of both stance should be at nominal level. For example take the case of Satyam computers, they were completely unethical to its stakeholders and u know the result: company completely vanished and same with Kingfisher airlines. Many organizations are unethical with respect to environment and safety of its employees though they are running. At the end of the day what it matters is Profit not how good you are! Ethics should be a part of business but in the present world both dont go hand in hand. Many unethical things are done in the big companies but they are never highlighted. Even if they are revealed, for some time company will face troubles in its shares and profit but again with time things become normal. No company is working with heart, but with mind.